$7.51 $5.96 You save: 1.55 ! 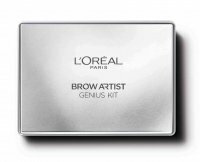 BROW ARTIST PLUMPER by L'Oréal. Mascara for eyebrow styling. Thickens eyebrows and makes them more vivid. In addition to filling eyebrows it provides an excellent fixation. Available color versions will add natural shade. You can emphasize the eyes with the help of a single product. Brow Artist plumper will help to obtain the perfect eyebrows. Short, precise brush allows you to dispense the appropriate amount of cosmetic. The application of the product is very convenient and fast. Mascara is available in three shades (Transparent, Light / Medium, Medium / Dark). 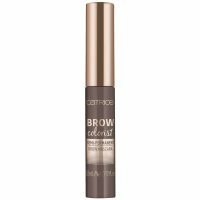 Keeps my brows in place all day long. After all day with the product on my eyebrows, there are tiny white gel on it. But anyway nice product.